On Jan. 12, President Obama will address Congress in his annual State of the Union address, and just like every other year, a Republican politician will deliver a rebuttal. The honor is usually given to a rising star in the party, as House Speaker Paul Ryan gave the address a year prior to running as Mitt Romney's potential vice president and Sen. Marco Rubio, who's now running for president, delivered it in 2013. Chosen by GOP leaders in Washington, South Carolina Gov. 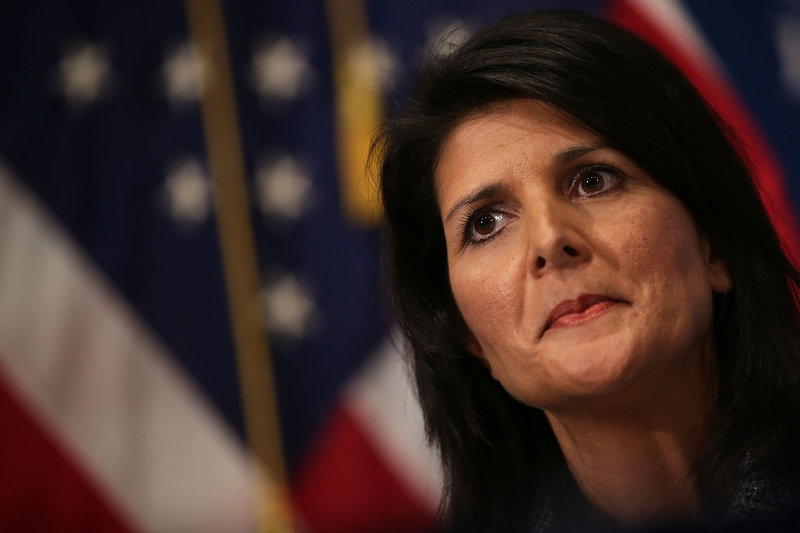 Nikki Haley will respond to the State of the Union this year. Haley, the first female and first minority governor of her state, reached the national spotlight when she successfully removed the Confederate flag from the grounds of the South Carolina statehouse in July, following the death of nine people in a racially-motivated attack at Emanuel African Methodist Episcopal Church in Charleston. Her response could have implications for the 2016 election, as South Carolina holds the first presidential primary in the South and Haley's already considered a likely vice presidential candidate, though it's too early to even know who the GOP nominee will be. "I was honored to be asked by Speaker Ryan and Senator McConnell to deliver the Republican address to the nation," Haley said in a statement. "This is a time of great challenges for our country, but also of great opportunities. I intend to speak about both." Nikki Haley has led an economic turnaround and set a bold agenda for her state, getting things done and becoming one of the most popular governors in America. In a year when the country is crying out for a positive vision and alternative to the status quo, Governor Haley is the exact right choice to deliver the Republican Address to the Nation. Currently in the middle of her second term as governor, Haley has actively criticized the Obama administration on every subject from health care to immigration, so responding to the State of the Union address should come pretty easy for her. "We have a president and a Washington D.C. crowd that think they know better than we do," Haley wrote in her 2012 book, Can't Is Not an Option. "Not only that, but they think there's a one-size-fits-all answer to all our problems, as if South Carolina were the same as California or Michigan." Though the two politicians both tried to comfort and encourage the nation after the Charleston tragedy, they didn't see eye to eye about a proper response — while, President Obama called for increased gun control, Haley wanted to focus on the suspect, Dylann Roof, saying he was the only person to blame. Haley's response will be live-streamed on the House Republicans' website following President Obama's speech, and will no doubt be a stark contrast to the previous address.